Allexperts.com is the oldest & largest free Q&A service on the Internet. David Disraeli answers questions on estate planning topics and users rate responses. 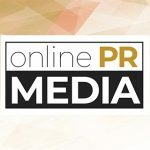 Online PR News – 04-October-2010 – – According to Allexperts.com David Disraeli is rated as one of the top experts in the estate planning section. Mr. Disraeli has a feedback rating of 9.8 out of 10 for his responses to over 366 questions. Experts answers questions for free on a variety of topics.